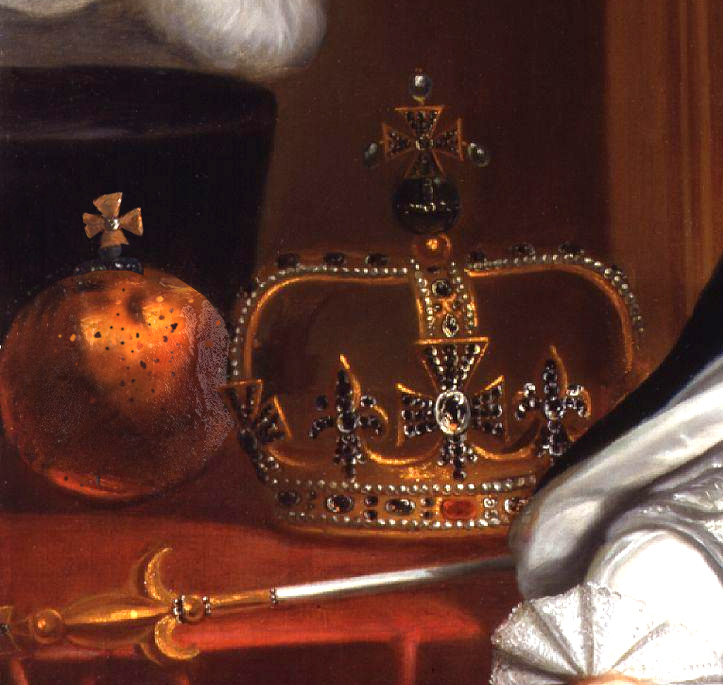 George I (School of Godfrey Kneller). Is that an orb with a sceptre and cross on the table? However, the eighteenth century archival record is curiously silent on this matter. There does not seem to be anything on the story in any of the nineteenth century records either. It is not until the twentieth century that the story surfaces. 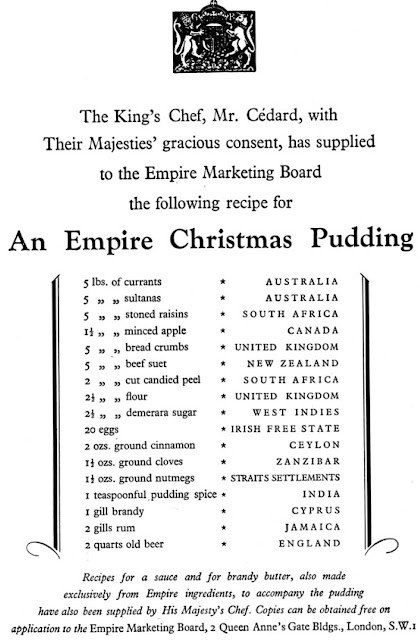 And it surfaces with a clamour, with many leading food writers telling the story of the Pudding King, some claiming that it was George himself who was actually responsible for making it our national Christmas dish. So if there are no eighteenth century primary sources for the story, where on earth does it come from? Many food authors cite the recipe and the legends attached to it, including worthies like May Byron (1929) Florence White (1932), Dorothy Hartley (1954), and Elisabeth Ayrton (1974). However, all are unanimously silent on one important matter – none of them give their sources. Plumcake, Food History Jottings research assistant has made a special project of this problem and has been delving through the historical evidence to find out how the story emerged. She has made some interesting discoveries and what follows is based on her research. The very earliest record she has found so far linking George I to plum pudding is an article about a royal family Christmas at Sandringham during the reign of George V (1910-1936), who came to the throne 196 years after the death of his namesake. This was published in the Strand Magazine in 1911. It is highly likely that this is the original source of our story - it is certainly the earliest so far discovered. The article is entitled THE HOME LIFE OF THE ROYAL FAMILY. The author is unnamed, but is described in bold uppercase type by the Strand Magazine as ‘AN OFFICIAL OF THE ROYAL HOUSEHOLD.’ It goes on to say that the article ‘IS PUBLISHED WITH GRACIOUS PERMISSION AND APPROVAL OF THEIR MAJESTIES THE KING AND QUEEN. THE ACCOMPANIED PHOTOGRAPHS OF THE ROYAL CHILDREN HAVE BEEN EXPRESSLY SELECTED FOR THE ARTICLE BY THE QUEEN HERSELF.’ It is definitely an article with impressive royal approbation. 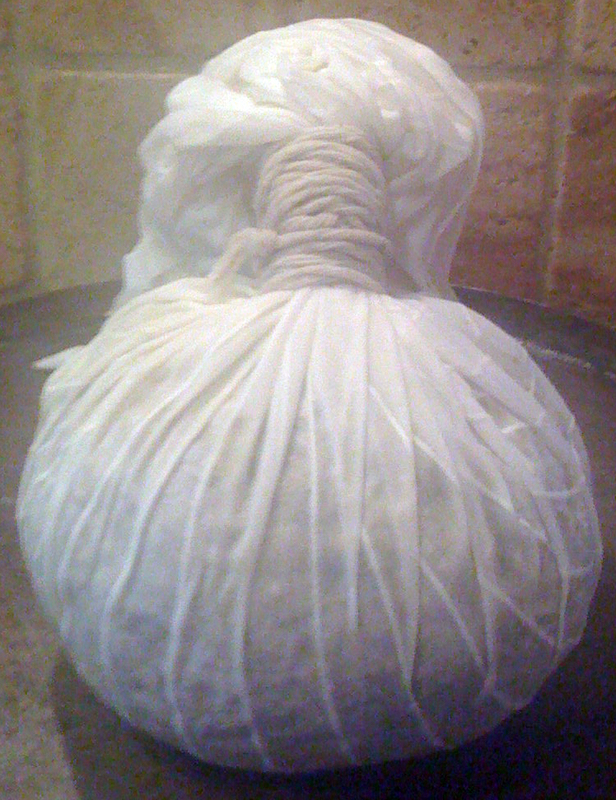 moulds and boil for eight hours. The above would make three ordinary-sized puddings. The Strand Magazine, Vol. 42,  p.634 (No.252, December 1911). What this article actually says is that this recipe had been in the possession of the Royal Family since the days of George I. What it does not say is that it is for making a pudding that was actually served to him. Anyone who has experience of early Georgian recipes will realise that this cannot be an exact transcription of the original. Its structure and language are entirely modern. If it is based on an eighteenth century original it is very much an adaption for an early twentieth century reader. 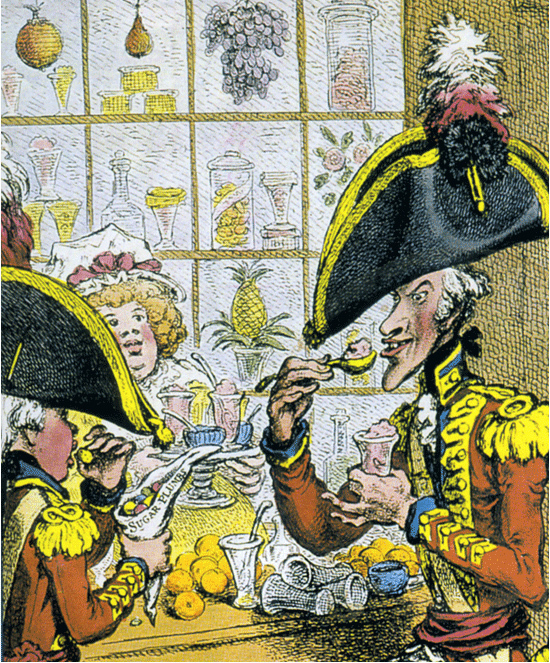 We know of no other eighteenth century pudding recipes that instruct the cook to weigh the eggs. Nor is Demerera sugar an ingredient that is usually named in eighteenth century recipes. It might be common ingredient now, but surprisingly candied peel is not an ingredient that occurred in eighteenth century plum puddings. The earliest recipe that Plumcake has found for one which includes it is in John Mollard, The Art of Cookery (London: 1801). Moulds for boiling puddings are described in nineteenth and early twentieth century recipes, but not in those from the early Georgian period. But we are getting distracted into a different issue. Why plum pudding is called what it is and the additional meanings of the word ‘plum’ will be dealt with in greater detail in another posting. Let us return to the Pudding King. 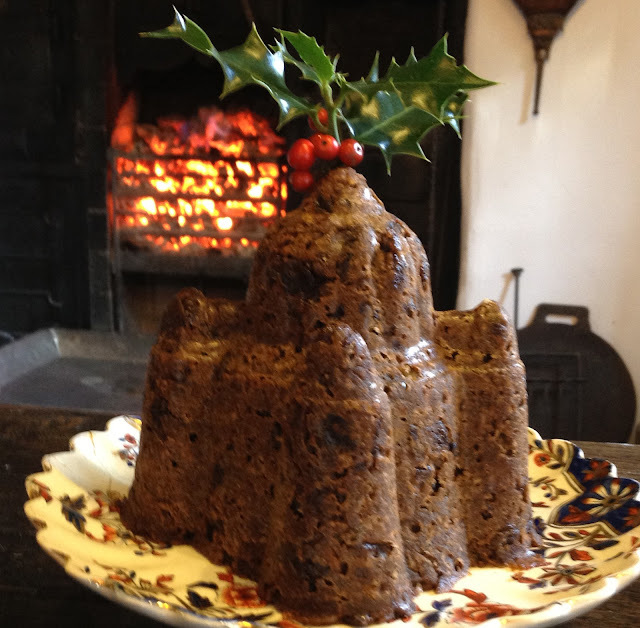 We do not doubt that there is a recipe in the Royal household somewhere for plum pudding that dates from the time of George I, but its wording would be completely different from the one published in the Strand Magazine. 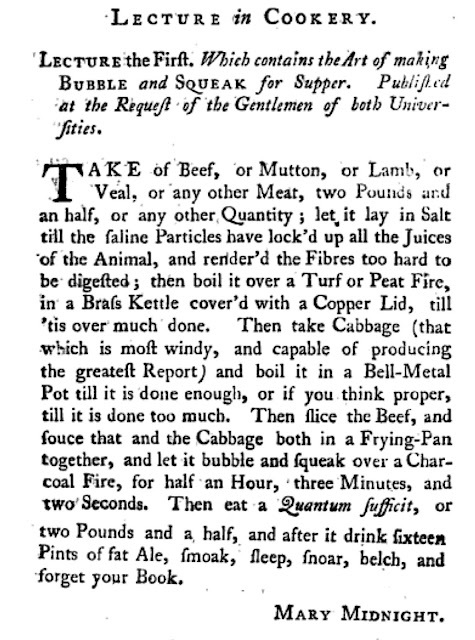 Compare the above to the language of this recipe from 1723, which incidentally, is also a recipe ‘from the days of George I’. Shred a Pound and a half of Suet very fine, and sift it; add a Pound and a half of Raisins of the Sun ston’d, six spoonful of Flour, and as many of Sugar, the Yolks of eight Eggs, and the Whites of five, beat the Eggs with a little Salt, tye it up close in a Cloth and boil it for four or five Hours. George I had four more years to reign when John Nott published the above recipe in 1723 in The Cook’s and Confectioner’s Dictionary. 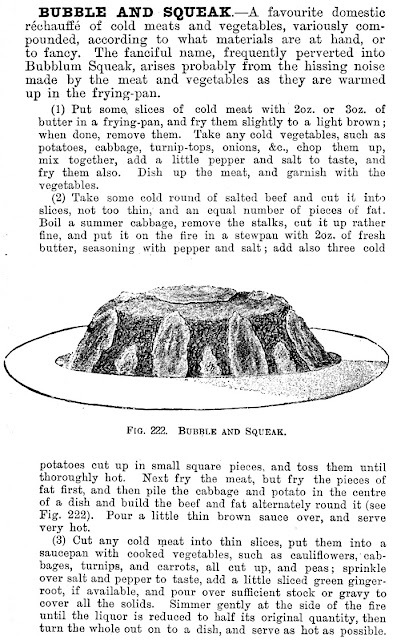 It is likely that the royal recipe published in the 1911 article was adapted to suit contemporary kitchen practice, or its language would have been closer to Nott’s instructions. 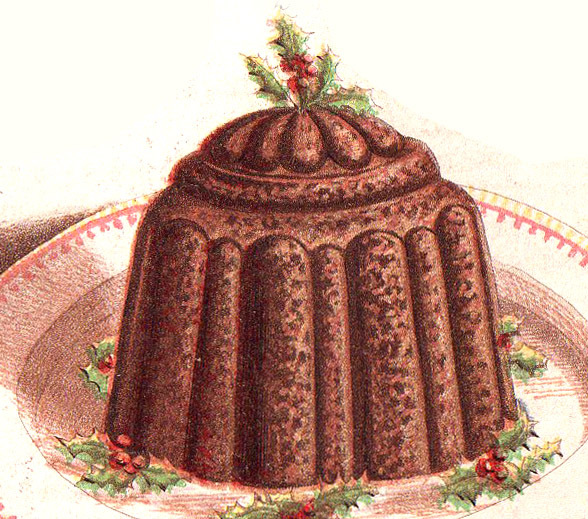 It is not until 1929 that we hear of George I’s Royal Christmas Plum Pudding again, this time in May Byron’s Puddings, Pastries and Sweet Dishes. Mrs Byron offers a slightly different version of the recipe, substituting the plums for Valencia raisins and the small raisins for sultanas. It is likely that she was trying to clarify the word plum for a readership that no longer understood its alternative meaning. She also doubles the quantity of flour, but it is pretty obvious that her source for the recipe is the 1911 article. And so it goes on. In her lovely Good Things in England, Florence White, founder of the English Folk Cookery Association offers the same recipe, giving a version, which apart from a little more flour is pretty faithful to the 1911 original. The journalist Hayden Church cites the recipe in a rather interesting article written for the New York Times in December 1931 and syndicated two years later to The World Almanac and Book of Facts. But Church tells us that the pudding was made from ‘a recipe used in the royal household since the seventeenth century and preserved in an old cookery book at Windsor Castle.’ So we are now being told that the royal recipe predates the reign of George I. In her 1974 version, Elisabeth Ayrton includes self-raising flour, glacé cherries and dates, telling us more about 1970s taste than an authentic attempt to replicate an eighteenth century dish! Elisabeth! We thought that this was supposed to be the very pud that George ate in 1714 - shame on you! Many other journalists and cookery authors right up to recent years have given versions of the recipe first described in the 1911 article, some of them elaborating on the story. We think that those who actually give us the exact time and date of George I’s first Christmas dinner were probably making a well educated guess! But whoever made up the story about him being called the Pudding King? He certainly was not called that in his lifetime, or even in the two centuries after his death. This particular variation on the theme seems to have emerged in the decades after World War II. So it seems to us that the tales of the Pudding King are myths that have gradually grown on top of a recipe cited in a journalistic account of a Royal Christmas in 1911. However, to get to the real truth we need to see the royal cookery book with its recipe, hopefully still on a shelf somewhere in Windsor Castle. Is there anyone out there with some good royal connections who could organize that for us? If there is just the slightest chance that Your Majesty reads this blog, could Plumcake and I come to Windsor to look through your cookery books please? To demonstrate how the recipes claiming to be for George I’s Plum Pudding are derived from the 1911 Strand Magazine article, Plumcake has constructed this detailed analytical chart - click on the link below. 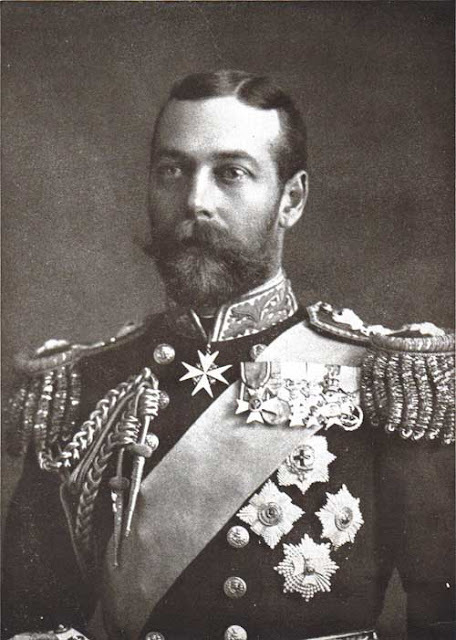 George V. The real Pudding King? If you have ever been to Prague at Christmas time you will almost certainly have visited the wonderful Christmas fair held in the Old Town Square. Although it is always pretty cold at this time of year, street vendors selling hot punch, spit roast ham and a host of other Bohemian street foods, offer plenty of opportunities to warm up by the fires at their stalls while you enjoy their wares. One hot delicacy which I particularly love is Trdelník, a spit roasted cake which is one of the most fascinating foods on offer. This is made with a sweetened yeast dough, which is spiralled round a metal cylinder, rolled in sugar and spices and then rotated rapidly over hot charcoal. The sugar caramelises on the outside making the crust of the Trdelník very crispy. It is delicious. 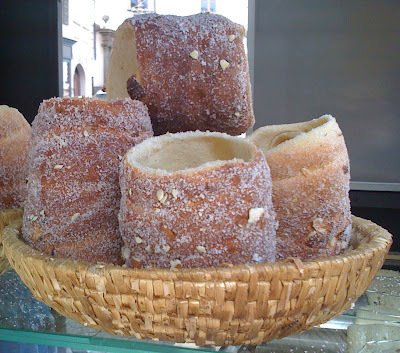 Trdelník is closely related to Kürtőskalács, an ancient chimney cake which has been made in Hungary for a long time and which is said to have originated in Transylvania. Many other European countries have cakes which are also baked on specialised spits in front of a fire. In Austria there is Prügelkrapfen, Germany has Baumkuchen, Sweden Spettekaka, France gateau à la broche, which is closely related to the Šakotis of Lithiania and the sękacz of Poland, both used to celebrate Christmas and at weddings. And there are others. 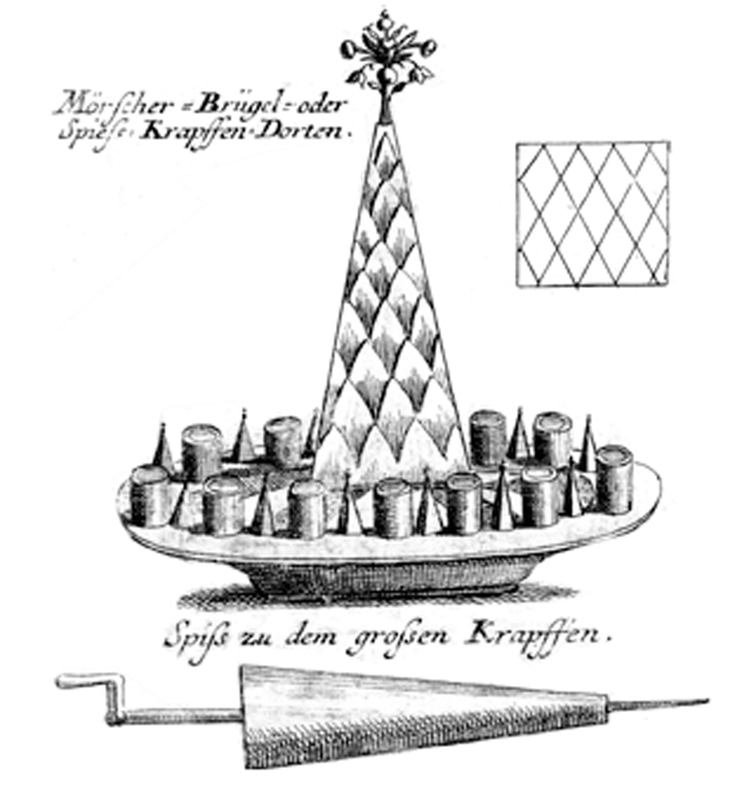 There is a recipe for baumkuchen in Marx Rumpoldt's Ein new Kochbuch (Frankfort: 1589). And Conrad Hagger in Neues Saltzburgisches Koch-Buch (Augsburg: 1719) gives an illustration of a specialist spit fitted with a wooden cone for making the sensational Hapsburg pyramidal spit cake.below. But what about Britain? Well I am afraid that just about the only thing that you will see rotating on a spit nowadays in this country is a doner kebab. There are no contemporary spit cakes. Which is a sad state of affairs, since the British were once famed throughout Europe for the quality of their spit cookery. 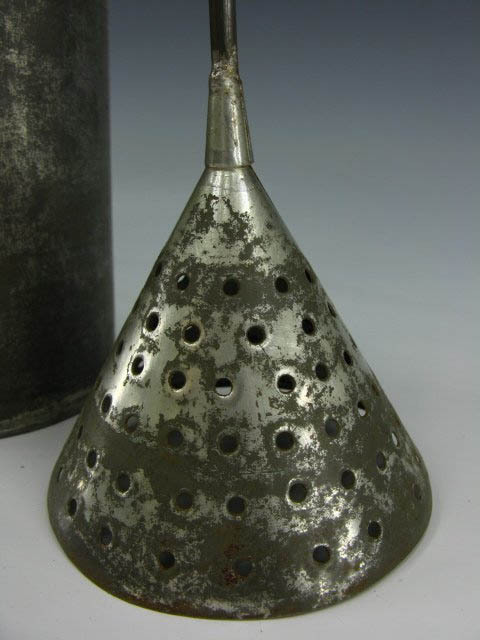 However, at one time there was an English spit cake, probably the most unusual in the whole of Europe. Sadly it has been extinct since the days of the Plantagenet monarchs. There are a number of recipes in some fifteenth century court cookery books. It was usually called a trayne roste, though there is a variant called a hastelet of fruit. The recipe below is from Harl. Ms. 4016 in the British Library. It dates from about 1420. Take Dates and figges, and kutte hem in a peny brede; And þeñ take grete reysons and blanched almondes, and prik hem thorgh with a nedel into a threde of a mannys length, and one of one frute and a-noþer of anoþer frute; and þeñ bynde the threde with the frute A-bought a rownde spete, endelonge þe spete, in maner of an hasselet; And þeñ take a quarte of wyne or Ale, and fyne floure, And make batur thereof, and cast thereto pouder ginger, sugur, & saffroñ, pouder of Clowes, salt; And make þe batur not fully rennyng, and noþer stonding, but in þe mene, that hit may cleue, and than rost the treyne abought the fire in þe spete; And þeñ cast the batur oñ the treyne as he turneth abought the fire, so longe til þe frute be hidde in the batur; as þou castest þe batur there-on, hold a vessell vndere-nethe, for spilling of þe batur/ And whan hit is y-rosted well, hit wol seme a hasselet; And þeñ take hit vppe fro þe spit al hole, And kut hit in faire peces of a Spañ length, And serue of hit a pece or two in a dissh al note. I recently roasted a trayne roste for the Hairy Bikers, a popular television food programme produced for the BBC. For those who would like to see in detail the very interesting process of making this extraordinary cake, here is the video below. To make whip syllabub the most common tool was a birch whisk used to excite a mixture of wine, lemon juice and cream into creating a layer of bubbles on top. Since this is the third posting on the subject, readers of this blog might get the impression that I have more than a passing interest in syllabub. You would be right. 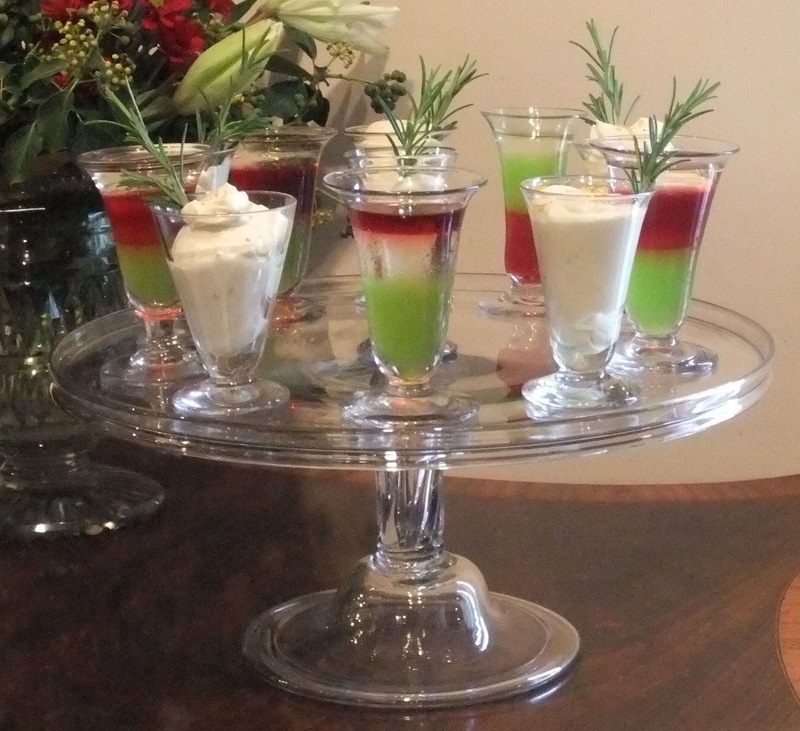 I started experimenting with old syllabub recipes nearly fifty years ago. I had my first go at making syllabub using the oft cited method of milking a cow into some sweetened cider when I was fourteen. It was a miserable failure. The milk curdled and made a terrible mess. What was I, or the cow doing wrong? I found the same thing happened when I tried recipes that called for warm milk to be poured from a great height into the mixture - resulting again in stringy and inedible curds. In my early days of syllabub experimentation there were very few modern recipes. It was not until Elizabeth David and Jane Grigson started publishing some in the late 1960s that the British general public started becoming aware of what until then been an almost totally extinct dish. What a contrast that is to the situation today. Google the word and you will find a myriad modern recipes - champagne syllabub, turkish delight syllabub, amaretto syllabub, iced cappuccino syllabub, hogmanay syllabub, passionfruit syllabub etc. What I have noticed though is that nearly all of these contemporary versions are made by whisking whipping cream with the other ingredients until it sets into a uniform thick whip. This type, which seems to be the only one made in modern times, is derived from those revived recipes by Elizabeth David and Jane Grigson, which they based on what was once called solid syllabub. This sort, also known as everlasting syllabub, was technically a flavoured alcoholic whipped cream. After a while a small amount of liquid might form at the bottom of the syllabub glass, but generally this type consisted of a uniform creamy whip. A glass salver set with ribbon jellies and solid syllabubs. Photo: Vicky Osborne.- courtesy Delomosne and Son. 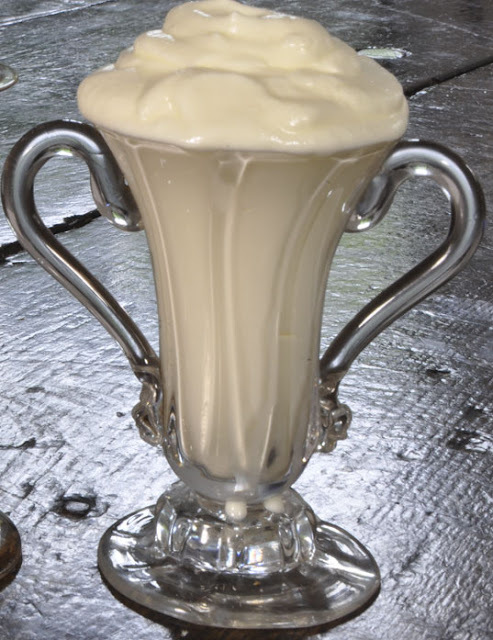 Another syllabub, older in origin than the solid kind, was the whip or whipped syllabub. If the very large number of surviving recipes is anything to go by, it seems to have been very popular, This was very different in nature to solid syllabub. It does not really seem to be understood by modern cooks. The cream/wine mixture was whipped in a large bowl, usually with a birch whisk, but chocolate mills were also used. 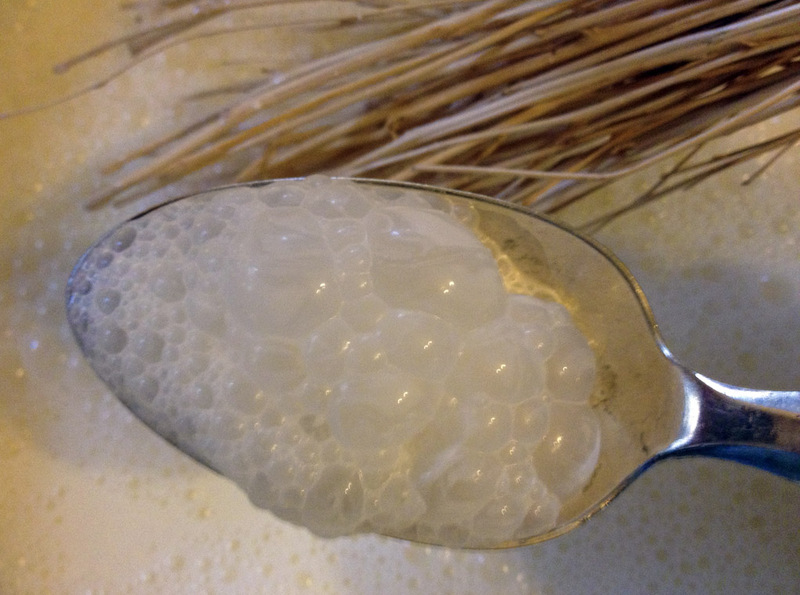 As the bubbles rose they were skimmed off the surface and put on a sieve to drain overnight. It is not as fiddly as it sounds and a very large amount of bubbly suds can be accumulated in a fairly short time. 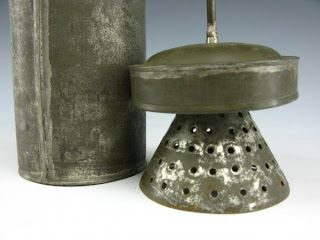 Interestingly a very old and ubiquitous rural name for a sieve was a sile or syell, commonly used in dairies for straining milk. Syllabubs were originally made in dairies rather than kitchens. In seeking for an origin for the word syllabub, the etymologists have complete ignored this Old Norse word. 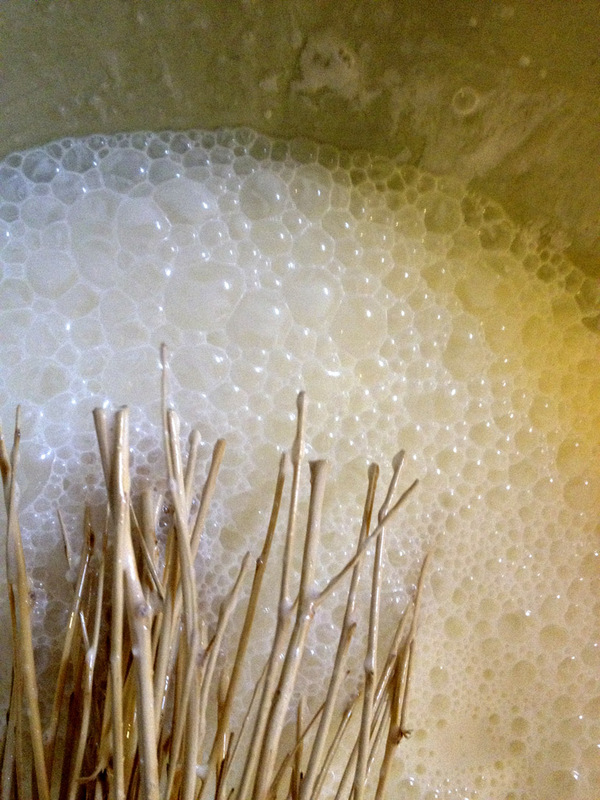 Above you can see a sile covered in bubbles - any thoughts? 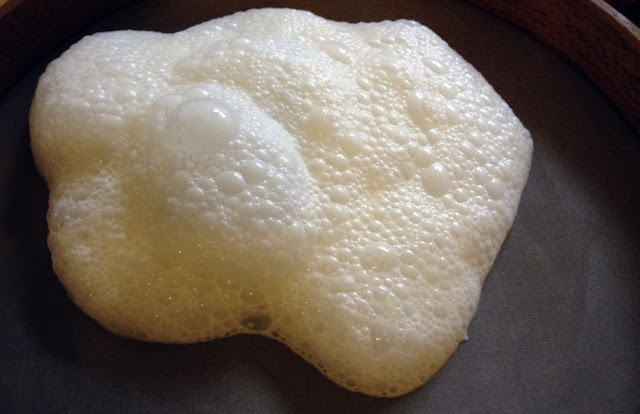 Once the bubbles had drained thoroughly, which usually takes about twelve hours, an incredibly light, rather dryish foam of a most ethereal texture is created. This was then floated on top of some wine or whey which had been poured into the syllabub glass. This is much lighter and of a completely different character to the modern version of the dish. 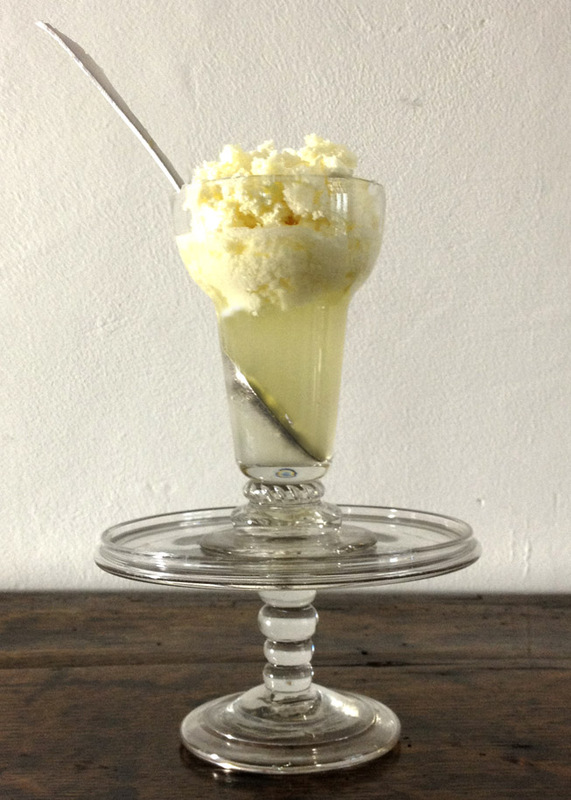 The evidence points to the fact that the pan top syllabub glass was designed specifically for whip syllabub. 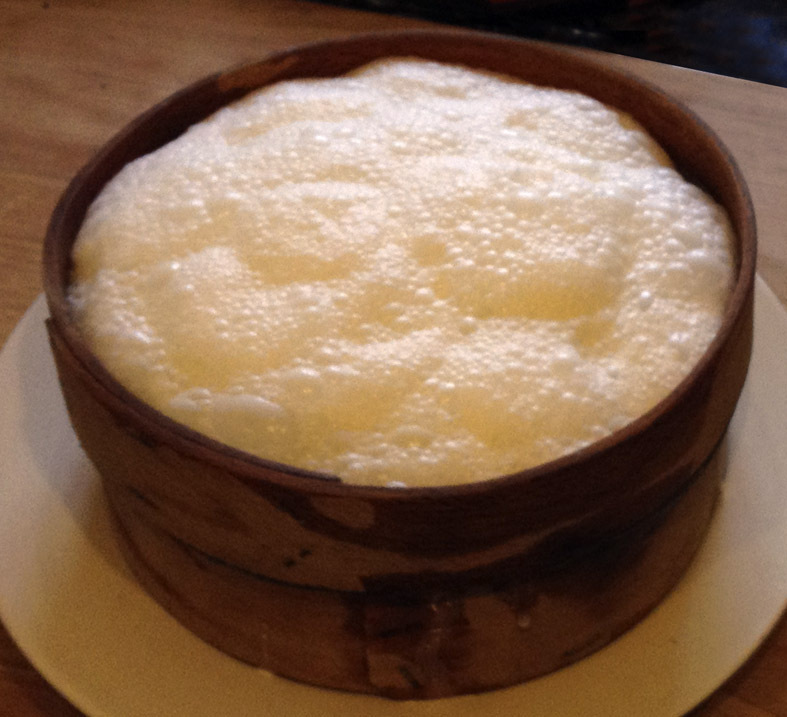 The pan helps to support the foam above as below. Now all this whipping, whether with whisks or chocolate mills, especially when catering for a large company, was a lot of hard work. So a number of pieces of equipment were designed to make the process easier. The earliest of these was a syringe known as a wooden cow. These are first mentioned in the late seventeenth century. A lot of bubbles can be created by squirting air into the mix with one of these curious implements. They were similar to a device called a butter squirt, which could also be used to make syringe fritters. Syringes of this kind had various applications in the kitchen and dairy. I have never seen any English early modern period images of these things, but Bartolomeo Scappi in his Opera (Venezia: 1570) does illustrate a kitchen syringe. This is a woodcut version from the 1621 edition. Choose your weapon. 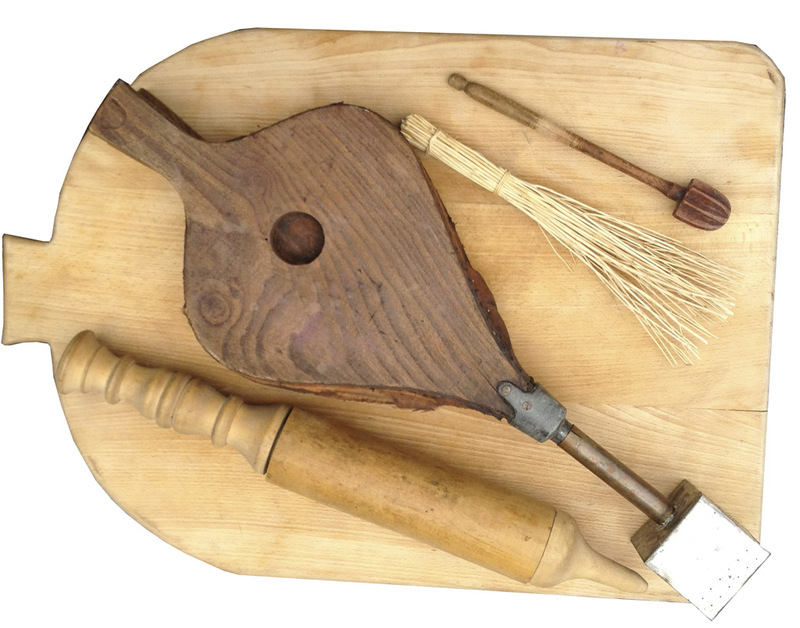 Birch whisk, chocolate mill, syllabub pumping engine or wooden cow? “Dr. Hayles hath actually published what has been for some time talked of, a tube of tin with a box of the same at the lower end of it...that is full of small holes. This engine, with the help of a pair of bellows, blows up cream into syllabub with great expedition. This complex machine has already procured the doctor the blessing of the housekeeper in this palace, and of all such as she in the present generation (who know the time and labour required to whip this sort of geer), and will cause his memory to be held in reverence by all housekeepers in the generations that are yet to come.” A. Hartshorne, Old English Glasses, (London and New York: 1897), p. 307. I have reconstructed this 'engine' and it works very well, blowing 'up cream into syllabub with great expedition. I have had a love affair with this uniquely English dairy food most of my rather long life and have written three published papers on the subject. Syllabub has spawned its own unique material culture and I also collect both the tools which were once used to make it, as well the beautiful glasses that were designed for serving it. With this kind of long experience of the subject, it is always tempting to feel smug and consider oneself some kind of an expert. However, it is humbling to find out that in fact one really knows very little. I recently learned that in nineteenth century North America special mills called syllabub churns were manufactured to make solid syllabubs. After nearly fifty years of studying the subject I had never heard of them. As far as I know, there was never anything like these made in Britain, but I could be wrong. Below are some photographs of one of these churns, which according to one or two folk who have used them are incredibly effective. They work rather like a plunge butter churn. By pushing the shaft up and down the mixture gets thoroughly aereated. 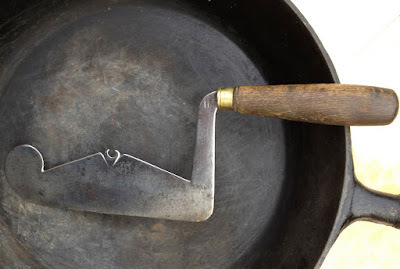 If there are any US readers of this post who have experience of these fascinating utensils, I would love to hear from you. Happy syllabub pumping everybody! When I was a child in the 1950s one of my favourite dishes was 'bubble and squeak', made by my mother from potato and cabbage left over from the previous day. She fried the ingredients in a little beef dripping saved from the Sunday roast, creating a piping hot slush of brassica and mash trapped within a crisp browned crusty jacket. Sometimes she cooked it in bacon fat, which was even better. This humble dish is the stuff from which my earliest food memories were forged. Never mind Proust's dainty madeleines - just the thought of a pile of bubble and squeak infuses my whole being with a poignant yearning for those breakfasts of more than half a century ago. Sadly, I am now always disappointed with the dish as it never lives up to my nostalgia-driven expectations. The closest to my mother's I have experienced is Nigel Slater's excellent recipe. However, like most other modern versions this requires a non-stick pan, a luxury unknown in the 1950s. As a child, it was those crunchy, not quite burnt golden flakes of potato that had to be physically scrapped off the bottom of an old black cast iron frying pan that gave the dish its character. Without them it was bubble, but sadly deficient in squeak. The process of making bubble and squeak required as much scrapping as it did frying. A specialised tool called a bubble and squeak scraper (above) was once used for making the job easier. 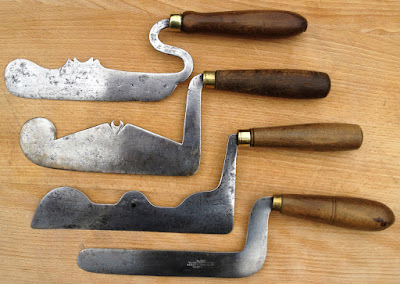 However, the true purpose of these beautifully designed utensils has now been entirely forgotten. As well as having a sharp edge for scrapping the crunchy bits that stuck to the pan, they also allowed you to chop the vegetables as they fried. Their craftily designed handles enabled you to use them without being obstructed by the sides of the pan. The English have also forgotten that the very nature of bubble and squeak changed radically at some point in the twentieth century. 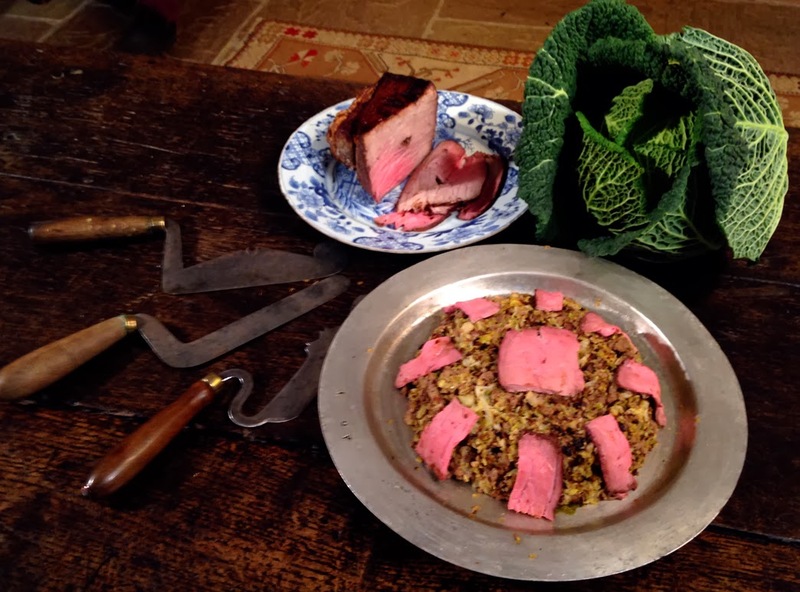 This favourite dish has been around since at least the middle of the eighteenth century, but for the first hundred and eighty years of its existence it was made by frying together small slices of meat, usually beef, with boiled cabbage. Potatoes did not even get a look in until the late nineteenth century. I suspect the meat got dropped from the recipe during the course of the Great War, but the jury is out on that one. By 1951, The Good Housekeeping Magazine Home Encyclopedia declared that 'in the modern version of bubble and squeak the meat is usually omitted'. This modern version is the one I remember from my childhood breakfasts and which is still cooked today. In the 1890s the great Victorian chef Theodore Garrett, described bubble and squeak as, 'a favourite domestic réchauffee of cold meats and vegetables, variously compounded, according to what materials are at hand, or to fancy.' This is quite close to the modern concept of the dish, a kind of fried mish-mash of any vegetables left over from a previous meal. But Garrett's recipes all contain meat, so in the late Victorian period it was quite a different dish to the bubble and squeak the British enjoy today. I have appended Garrett's article on bubble and squeak at the very end of this posting. As far as I know, ‘bubble and squeak’ first gets a mention in literature in 1752 in an issue of The Drury-lane Journal, by Madam Roxana Termagant. This was a scurrilous magazine, in reality written by the poet Bonnell Thornton. Thornton was a member of the Nonsense Club, a gathering of literary figures and artists, which included William Cowper among its members. 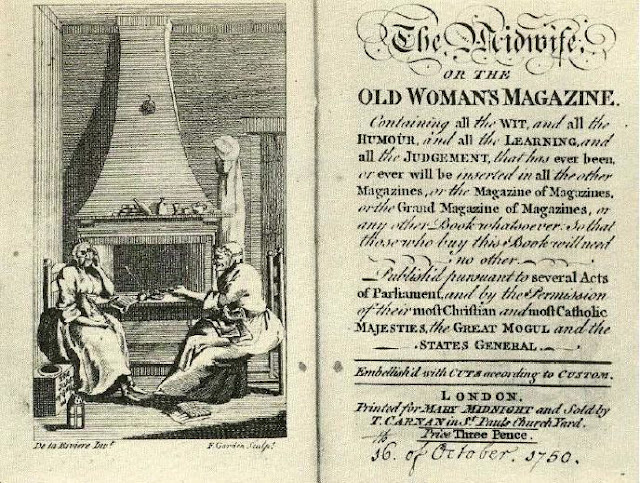 The earliest recipe I know was published a year later in 1753, not in a cookery book, but in another irreverent collection of satirical verse and prose called The Midwife, or Old Woman’s Magazine by one Mary Midnight - again a pen name, this time used by the eccentric poet Christopher Smart (1722-1771). 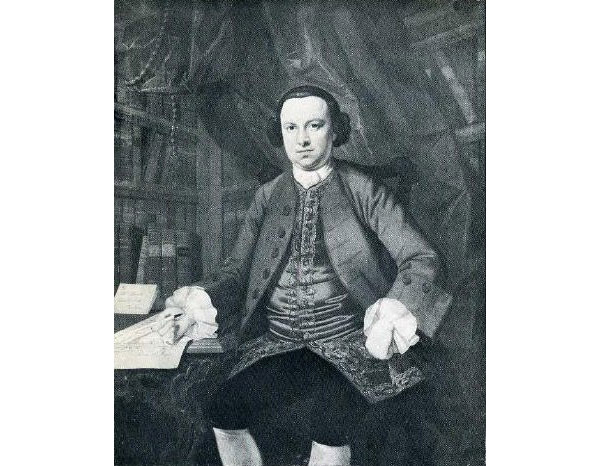 Title page and frontispiece of Christopher Smart's The Midwife. This is the first number of October 1750. Mary Midnight's recipe for bubble and squeak was printed in Vol III in 1753. Mary Midnight's style of writing is peppered with juvenile humour, much of it downright silly and often outrageous - a kind of Georgian Monty Python. The recipe had probably been around for decades and may have originated as a sailor's way of dealing with salt beef or pork. It is quite fitting that a recipe for a dish with such a ridiculous name first appeared in such an absurd journal. 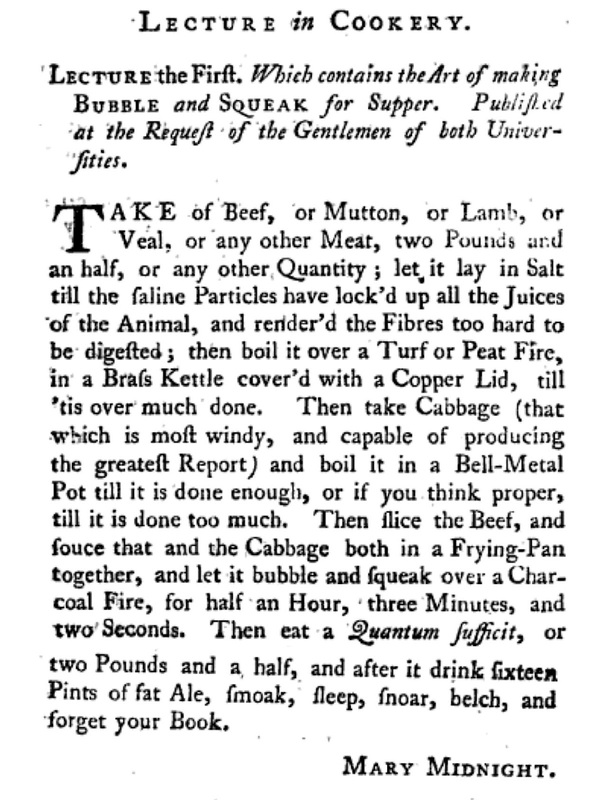 Mrs Midnight's 1753 recipe, reproduced below, is really a spoof, a satire on the life style of the Oxford and Cambridge students of the day, but it does work. 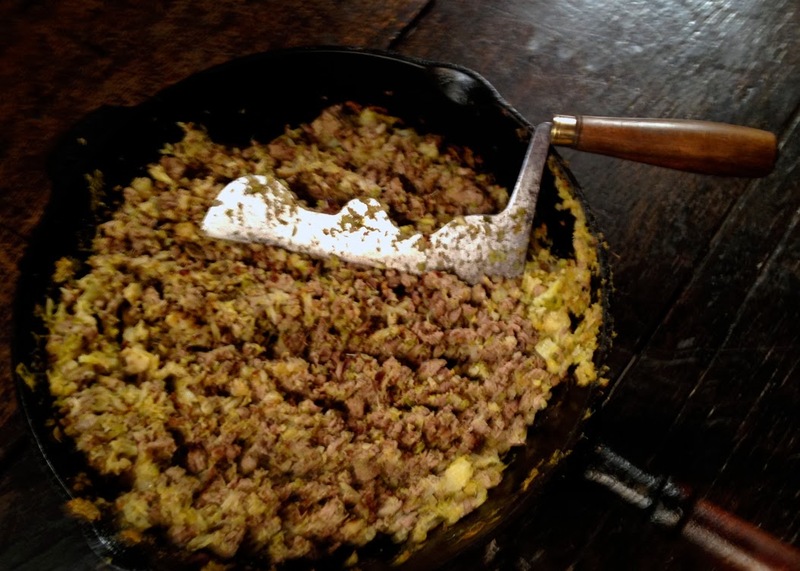 The earliest 'recipe' for bubble and squeak - made with salt meat. The Beef so surly quarrels with the Cabbage. To me, this is the whole point of bubble and squeak. 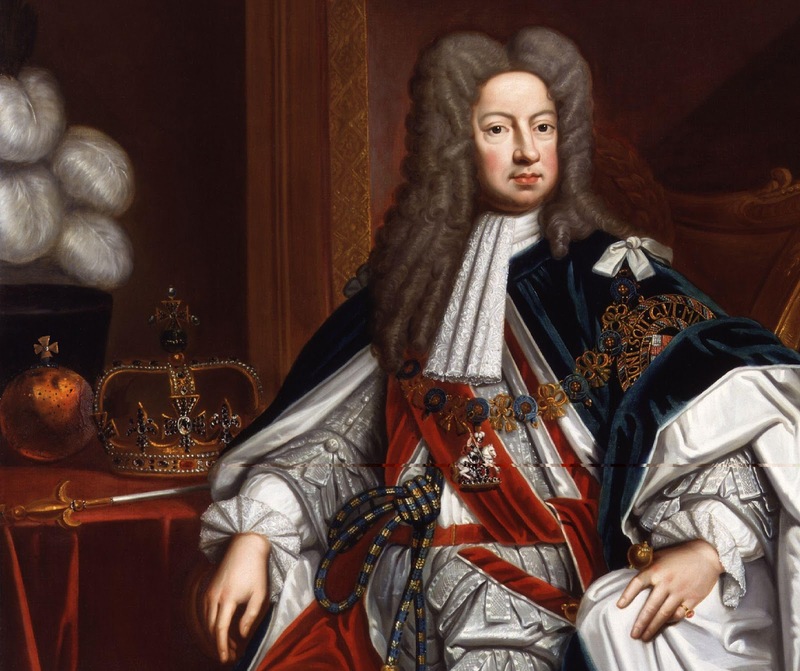 George was a prince noted for his love of extravagant dining. He employed Antonin Câreme for a short while and ate the most sophisticated French cuisine off the grandest gilt service ever made in the history of English silversmithing. But he could still take pleasure in such a homely dish. In a similar fashion, it is a common experience that after over indulgence in the rich foods of Christmas dinner, our jaded appetites can still be revived by this 'vulgar but savoury kind of omnium gatherum dinner of fried scraps', in other words the Boxing Day bubble and squeak made from the leftovers. Englishmen of every class have had a long lasting love affair with this most basic, but tasty of dishes. The last word on the matter must go to the anonymous versifier who wrote the following lines for an edition of Punch magazine published at the height of the Crimean War. So that the creature shares my prog. From day to day, for near a week. Or steaming from the genial fire. Bubble and Squeek, sir! – that’s the thing. And then he ate it evermore. The less enjoyed it of the two. To leave my dog a little piece. The Brave on the Crimea’s hills! Leaves to the Russians all the Squeak. At mess on Russia’s conquered ground! A nice recipe for modern bubble and squeak by Nigel Slater (though not as good as my mum's! 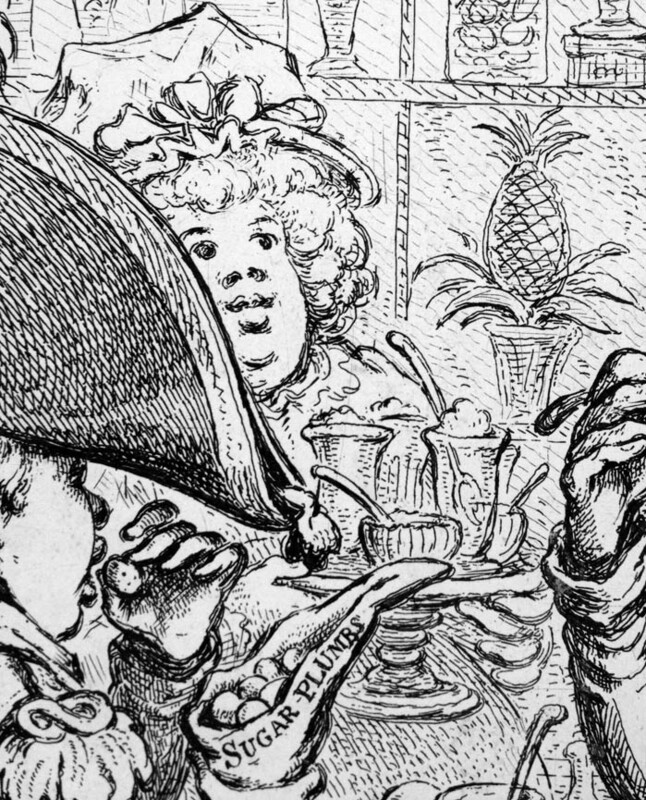 I recently bought a copy of James Gilray's satirical cartoon Heroes recruiting at Kelseys (1798) which is in its original uncoloured state (see detail above). All the other copies I have seen of this print have at some time been painted over with watercolour, as below. This very interesting image shows two military officers sampling the delights of a London confectionery shop. A bonneted proprietress of ample proportions is walking towards them with a bobbin-stemmed salver set out with jelly glasses. These are heaped up with a creamy froth, which the officer on the right is spooning out of a fairly conventional jelly glass. Is this ice cream, or something else? 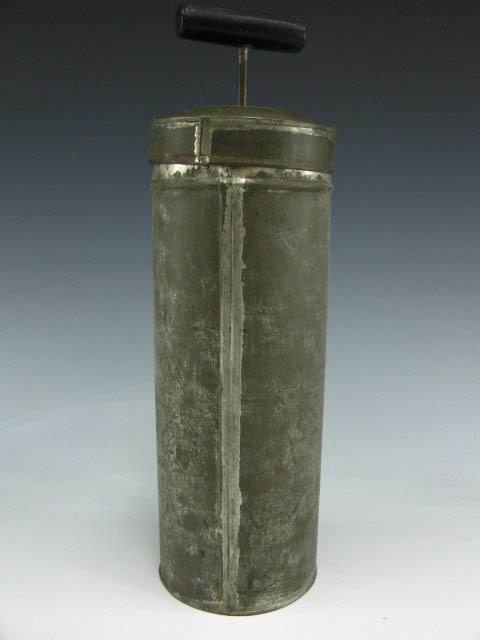 If you could afford it, ice cream was very popular and common enough in 1790s London confectioners' shops. But close scrutiny of the detail of the uncoloured Gilray reproduced above, shows that a spoon is visible through a clear liquid sitting below the frothy head. 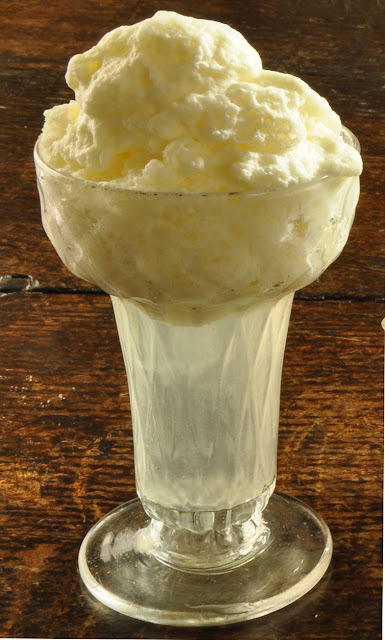 This would indicate that the artist's original intentions were to depict a glass of whip syllabub rather than ice cream. Ice cream is opaque and the spoon would therefore be concealed. The water colourist who tinted the print below (probably at a later date) did not appreciate this and has filled in the glass with a uniform pink wash. It is amazing how much can be learnt from such small details. The other officer is holding a conical twist of paper filled with 'sugar plumbs'. What on earth were these? Well according to some authorities, such as television historian Ruth Goodman, food historian Sharon Cohen and many websites out there in cyberspace, sugar-plums were quite literally plums that had been preserved or coated with sugar. Well I am afraid that this is terribly lazy and inaccurate history, because it is just not true. Let me explain. Many of us are now familiar with the term sugar-plum from Tchaikovsky's Dance of the Sugar-plum Fairy from the Nutcracker, first performed in St Petersburg in 1892. Tchaikovsky's original French name for this music was Danse de la fée dragée. Dragée is a word still used in France. It means a sugar-coated seed, or nut, not a sugar-coated plum. The Italian equivalent word is confetto, giving us the English comfit. So the literal meaning of Danse de la fée dragée was the Dance of the Sugar Comfit Fairy. However, in England comfits had been known by the nickname sugar-plums since at least the early seventeenth century, because they were the shape of a plum, not made with plums. The Dance of the Sugar Plum Fairy was a more poetic translation and made perfect sense in the late nineteenth and early twentieth century. Nowadays, the term is so obsolete that even some self-styled historians, who are meant to study the past critically from primary sources have forgotten what it means. But anyone who cares to look up sugar-plum in the OED will find the definition, 'A small round or oval sweetmeat, made of boiled sugar and variously flavoured and coloured; a comfit.' The definition is followed by many instances of its use. This is not to say that plums were not preserved with sugar. They were, but they were not called sugar plums in the past. There is a bit more on sugar-plums and comfits on my website, including explanations of how they were really made. Below are links to some sites which have misunderstood the true nature of these interesting sweeties. If you would like to learn how to make real sugar plums, come to my Historic Food Sugar and Confectionery Course. Sharon Cohen's essay on "sugar plums"
One thing that really, really annoys me is a tendency in the world of food journalism, broadcasting and food writing to continuously repeat stories about the history of our food which have very little basis in fact. Many food writers, celebrity chefs and yes, even people who actually describe themselves as food historians are guilty of this. This is a plea to all of you out there to stop accepting secondhand, often suspect statements without questioning the sources upon which they are based. I have already given some examples on this blog of this uncritical approach and in the future, I will offer you many more. And I will spare no blushes. Now being a professor, Dr. Broomfield naturally provides us with a reference for her source. I was hoping that she had consulted the original medieval decree, because I would love to see it myself. But no, she refers us to a book written by the celebrated English actor Simon Callow called Dicken's Christmas (Francis Lincoln. London: 2003), which she quotes. Mr Callow is a brilliant thespian, in fact he is one of my favourite actors, but he is not noted for his research into English pre-Reformation Ecclesiastical decrees, or Christmas pudding for that matter. His book is an attractive one and is full of interesting information, but it is unreferenced and he repeats a number of the usual annoying cliches about Christmas foods, such as mince pies being representations of Christ's manger etc. Unfortunately Mr Callow does not give us a reference for the source of his information, so where it comes from is anyone's guess. If by any slim chance, you read this posting Mr Callow, I would be grateful if you could let me know your source. By the way, I loved your Dr Marigold and Mr Chops at the Riverside Studios! Broomfield/Callow are nowadays quoted by Wikipedia in their article on Christmas Pudding and as a result the medieval decree theory can be seen all over that most efficient myth spreader in the history of mankind, the world wide web. But is there anyone out there who can tell me where I can find a copy of the original decree? Did it really exist? I am genuinely offering a $1000 reward to the first person who can find me the original medieval text of this so-called decree and point me to the library in which it is housed. If the decree came from the very highest authority - the pope, I suggest you start by looking in the Vatican archives for a papal bull, motu proprio or papal brief. Perhaps it was a decree created by one of the Ecumenical Councils, or since it was specifically aimed at the English congregation, it may have been issued in our own ecclesiastical province at a synod under the authority of the Archbiship of Canterbury. Anyway, brush up your Church Latin and I wish you all good hunting in the archives. The reward will be valid until midnight on 24th December 2012, when the offer will close. Good luck! 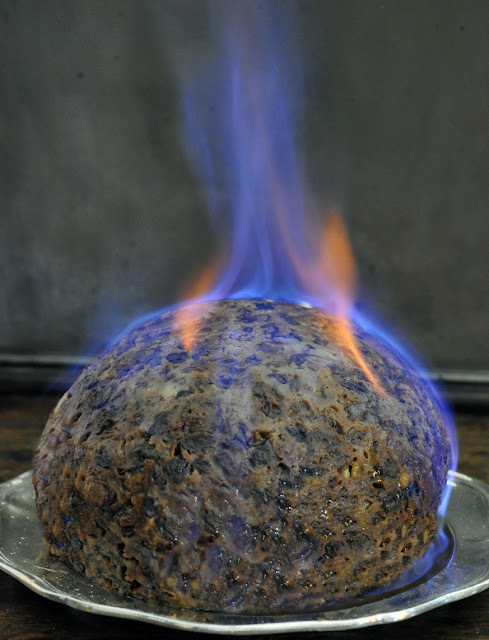 There will be much more on Christmas Pudding in a future posting. 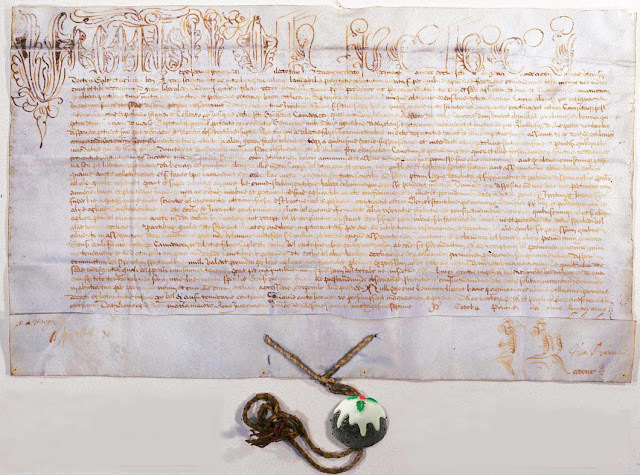 An original papal bull. Papal bulls got their name from the bulla, the small ball shaped seal made of lead which was attached to them. If there was ever a papal bull on the subject of Christmas pudding, perhaps the bulla would have looked like this. Or perhaps the whole thing is just a load of old papal bull----. I am an independent social historian of food culture and also a professional chef and confectioner. I run practical courses on all aspects of British and Italian food history at my home in the English Lake District. I am also the author of a number of books and many papers on the history of food and have curated many major exhibitions on food history in the UK, US and Europe. The main aim of this blog is to attempt to expose and correct many of the fairy stories that are written about the history of our food. I am assisted in this task by the Food History Jottings researcher Plumcake. © Ivan Day 2011. Simple theme. Powered by Blogger.